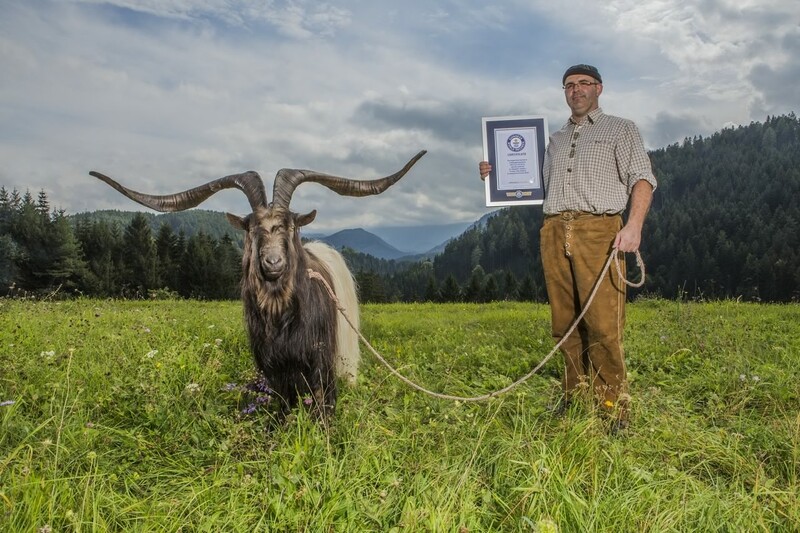 Rasputin, an 8 year old Walliser black-necked goat from Lienz, Tirol, Austria has earned himself place in 2017 edition of the Guinness World Record for his largest horn. Rasputin with his owner Martin. 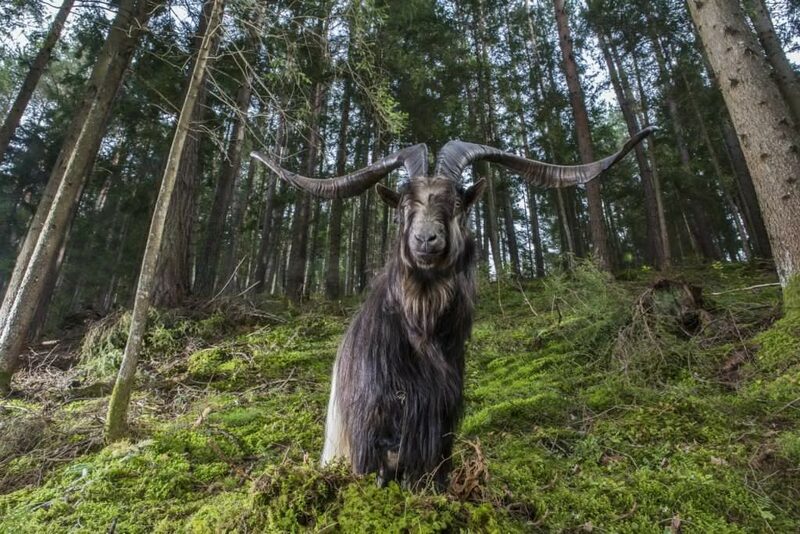 On 5 June 2015, his left horn measures at 112 cm (44.1 in) and his right at 111 cm (43.7 in) and the distance between tip of his horns measured 135.2 cm (53.23 in) which is 3.2 cm larger than previous record set by Uncle Sam from the USA. 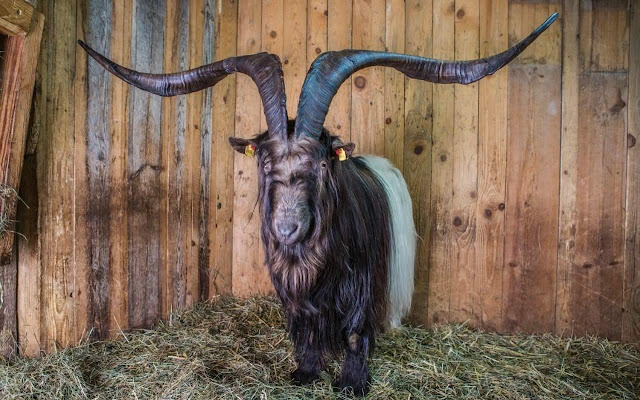 Martin Pirker, owner of Rasputin, says the goat’s horns hadn’t always been exceptionally long when he bought Rasputin four years ago and its horns have grown significantly over the last few years. Rasputin who gets fed well lives with his wife Lily and son Lucky both are black necked goats like him.